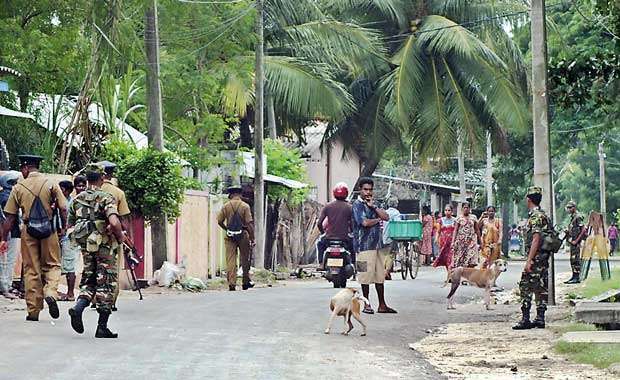 Many news reports that emerged from the north produced details related to a criminal gang called ‘Ava’ group wreaking havoc in certain areas and the purported attempts being made for the revival of the LTTE by some extremist elements. Let alone, these are two issues that have political implications, both in and outside the Northern Province. 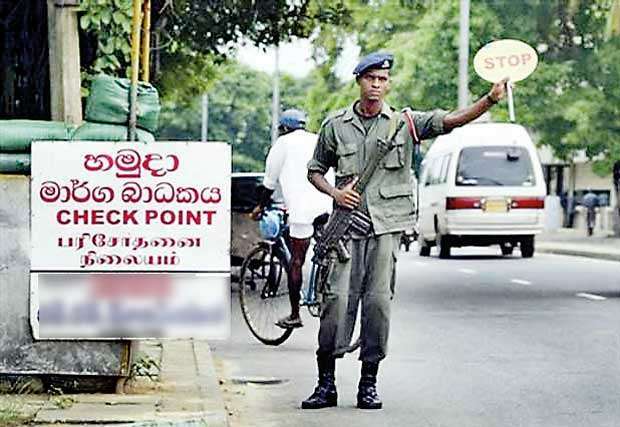 If routine life is threatened due to criminal acts by the ‘Ava’ group and the LTTE raises its head, it will cost dearly to the government in political terms. In such an eventuality, it will offer enough and more political fodder for the opposition to cash in on their electoral campaigns. So, the phenomenon of the ‘Ava’ group and the purported attempts to revive the LTTE are hot topics in the political sense. Ava is a criminal gang that operates with a novel modus operandi to drive fear into the people and rob them of their valuables. In this instance, some youngsters, flaunting sword-like knives, ply on the roads in motorbikes and indulge in criminal acts such as house burglaries. Upon being commissioned to carry out criminal acts, they whisk away from the scene to avoid being apprehended or arrested by the law enforcement authorities. Helpless victims, terrified by the gangs, look on. Being aware of the political implications and that normalcy would be disturbed in the north, the Government politicians are trying to play down the situation while those in the opposition are trying to play it up for their gains. The Govt is trying to belittle the situation, but the opposition is attempting to play it up. Law and Order Minister Ranjith Madduma Bandara, who visited the area once during the recent times, said that these were criminal acts perpetrated by some mischievous youngsters. This was after they were carried away witnessing violence in Tamil films. In the north, people view TV channels of Tamil Nadu in India for entertainment. It is widely believed that these young people, indulging in violence, had been carried away by violent scenes in Tamil Silver Screen which featured motorbike gangs committing crimes in theatric fashion. All in all, there is no constant occurrence of crimes by the Ava group. It becomes prominent at certain times, and the incidents get reported in the press. Afterwards, these gangs lay in hibernation lulling people into sense of complacency that the situation is under control. It again surfaces with criminal acts. Northern politicians seem to be at a loss in this regard without any clear-cut agenda to arrest the trend. They hurl allegations against each other and give various interpretations with regards to the circumstances that created this phenomenon. Northern Province Chief Minister C.V. Wigneswaran has made serious allegations in this regard. In fact, he says that there is a general perception among people that there is a nexus between the security forces and such criminal groups. “There are also people involved in drug trafficking. They are supposed to be having the backing of the police or the forces. This is the general perception of people. Yet, I have no proof of that,” he said. As if to give credence to this public perception, he said that these things persisted despite the presence of the military and the police in large numbers. Alongside, he bemoaned the lack of police powers vested with the provincial council to deal with the situation once and for all. Asked whether these young people had been provoked into violence by Tamil films, he came out with an interesting answer. “I do not think people are going to see films and do these things. I put it the other way round. These are happening in society. Films only portray what is happening,” he said. According to DIG –Northern Province Roshan Fernando, there is no surge in criminal activities. Instead, according to him, a few incidents had been propped up in the press giving the impression that the entire Northern Province was like a place without law and order. Opposition Leader of the Northern Provincial Council S. Thavarajah was also not serious about the Ava group as such. He also referred to it as a phenomenon created by some mischievous youths. Asserting that the crime rate in the north was negligible when compared with some other countries, he said that the law had to be implemented properly to arrest the trend. “We must have a legal system that hands strict punishment. Either you must hand them punishment or send them for rehabilitation as they are young boys,” he said. In his penetrative analysis, he says the flow of easy money from Tamils living abroad has led to this situation. “These boys press their parents for money. After that, they purchase motorbikes. For living, they tend to commit crimes,” he said. Former Vice Chancellor of Jaffna University Prof. P. Balasundarampillay, in his academic perspective of life in the north, said that though people could enjoy improvements in goods and services and travel in the post war context, unemployment was a serious problem that needs to be addressed. “There are 12,000 graduates unemployed in Jaffna alone. This is a major problem. The other one is the issues with law and order. There are crimes taking place. There are small or petty crimes. The Government has to ensure law and order. It is same in other parts of the country as well,” he said. When asked how serious the problems created by the Ava group are, he said, “I don’t know about it. Yet, I read about crimes here and there in newspapers. Crime is taking place. That is why MP Wijeyakala Maheswaran said something and invited trouble”. In his sociological analysis of the reasons for the crime wave, he cited unemployment as the main reason. During the period of the former Government, he said a lot of emphasis was placed on the development of infrastructure in the north. “That Government reconstructed the A 9 road and restored the railway lines. They restored electricity,” he said. Be that as it may, he said human development did not take place. “Even for posts of labourers, people are sent from areas like Kuliyapitiya to work in the north. Is it fair? The deployment of top professionals such as engineers and doctors is alright. Let them come!” he said. Responding to a query on the performance of the present Government installed with the main support of Tamil people, he said it was poor in terms of development. “The last Government did well in the development of basic amenities, but the present regime has failed to generate employment for the people. “That is my grievance,” he said. When analysing their voting patterns, Tamil people are more concerned about their political rights compared to economic issues. Commenting on this, Prof.
Balasundarampillay said, “What the Tamil people clearly said is a united Sri Lanka. 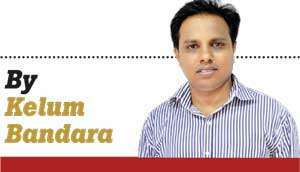 What is the problem of devolving a little more power to the provincial councils?”. Manifestation of violence in organised form in the north has to be looked into with a different perspective. In fact, crimes in the form of smuggling took place in the north with the advent of LTTE in early 1970s. Ava is still a criminally motivated group. There is no political motivation behind it at the moment according to police sources. It seems that the northern society, in general, is averse to the resurgence of the LTTE at any cost because they still have horrible wartime memories in their minds. According to police sources, one cannot totally rule out the attempts by some elements on the fringe to form politically motivated violent groups, though. Northern Provincial Council member M.K. Sivajilingam, who is notorious for his inflammatory language, ruled out the possibility of the revival of the LTTE as a fully-fledged organisation. However, he said that a situation could develop where normalcy could be disturbed through sporadic incidents of violence in the future unless the Government addresses their grievances.